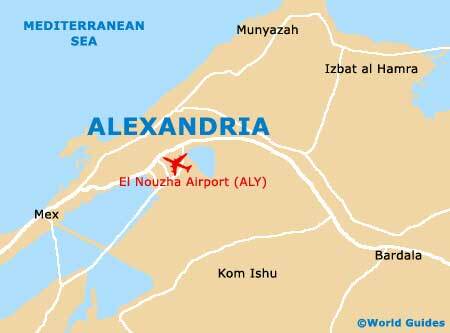 Alexandria has recently discovered the wonders of shopping malls and there are a number located all around the city. 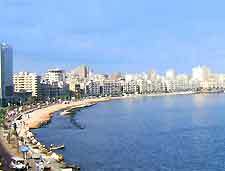 As well as being home to a good selection of shops, Alexandria's numerous shopping malls are also known for their eateries, entertainment, coffee houses (ahwas) and also as a place to socialise and meet up. A more traditional market (souq) can be found on the western side of the Midan Tahrir, which is a particularly memorable shopping experience. Be aware that most prices are quite negotiable and with a little friendly haggling, can be reduced greatly. If you find some market traders a little pushy, then simply walk away. You'll be sure to find the same goods at another stand or shop nearby. Those who enjoy searching out antiquities and collectibles will enjoy a stroll around the labyrinth of backstreets around the Attareen neighbourhood, with the bustling Attareen Antique Market being especially appealing. 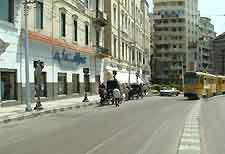 For high fashion, trendy clothes and stylish shoes, the shops around the Saad Zaghloul and Sharias Safiyya Zaghloul are hard to beat. Located just a short drive from the heart of Alexandria, the City Centre Mall lies to the south and is one of the biggest shopping malls in the whole area. The main anchor store here is Carrefour, a well-known French supermarket. Especially popular with the Egyptian locals, the Green Plaza Shopping Mall can be found in the suburbs area of Smouha, along the Agricultural Road to Cairo. This is a particularly fun place to shop and always a hit with children, since it is also home to a funfair, tenpin bowling, multi-screen cinema and large food court.